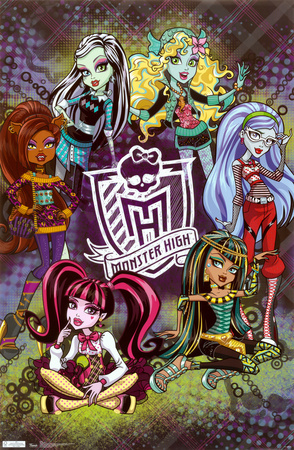 MH Group. . Wallpaper and background images in the 精灵高中 club tagged: monster high draculara cleo frankie lagoona clawdeen. This 精灵高中 photo might contain 动漫, 漫画书, 漫画, 卡通, and 漫画卡通. Draculaura's and Clawd Wolfs 爱情 story: Chapter 1, 嘿 I'm Draculaura!